When done right, snacking can help you maintain a healthy weight, keep your blood sugar levels stable, and speed up your metabolism. Unfortunately, many convenient, grab-and-go snacks aren’t always the healthiest, which means it’s easy to sabotage your healthy diet by snacking. That’s why it’s important to stock up on healthy snacks that you can take with you to work and munch on throughout the day. These 10 low-carb snacks are the perfect grab-and-go treats that will keep you satisfied throughout the day. 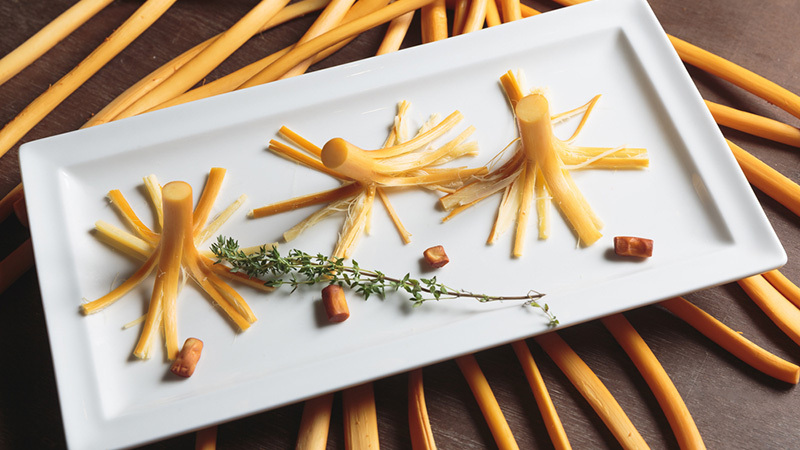 You used to love string cheese when you were a kid, and now you can enjoy it as an adult without the guilt! Companies like The Laughing Cow and Horizon Organic have developed all-natural recipes for their cheese products, which are also loaded with protein. They’re conveniently wrapped and can easily be stored in your fridge at home or at the office. Here’s another great snack from your childhood can easily be recreated and eaten to keep your grownup self healthy and happy. 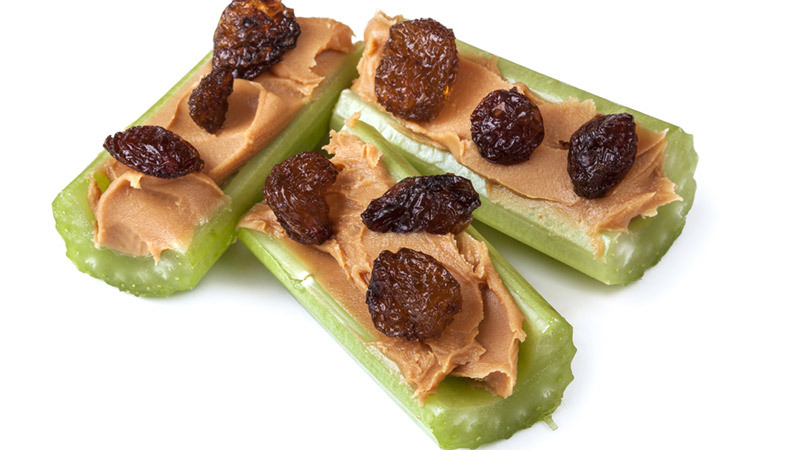 All you need is a few sticks of celery, a swipe of peanut butter, and a couple of raisins to sprinkle on top. Peanut butter is full of protein and healthy fats, so it’ll give you a boost of energy during your mid-afternoon slump. 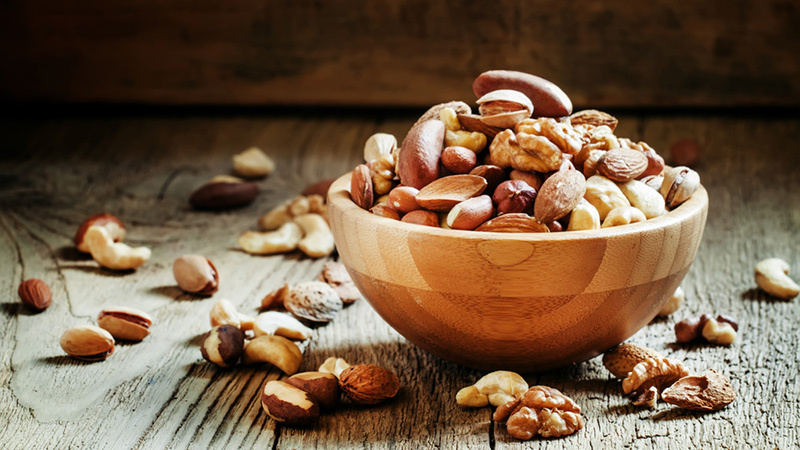 Almonds, pistachios, and walnuts each boast impressive nutritional values: almonds are loaded with vitamin E for healthy skin, walnuts contain heart healthy omega-3’s, and pistachios contain lutein and zeaxanthin, two nutrients that improve eye health. You can purchase pre-made bags of mixed nuts, but you can just as easily make your own 100-calorie bag. Just fill a ziploc with 13 almonds, 30 pistachios, and/or eight walnuts. You’ve probably had a bowl of these placed in front of you at your favorite sushi restaurant and devoured them with no shame. 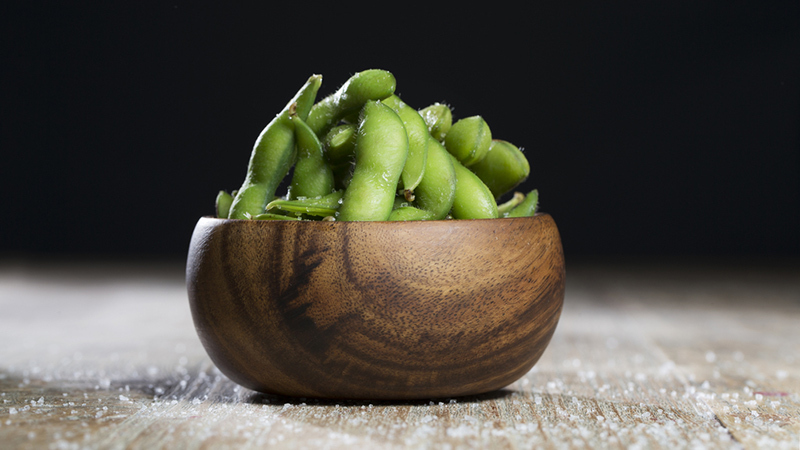 Edamame is loaded with fibre, which is great for your digestive system. Eat them on their own or mix them in with your bag of nuts to make a nutrient-rich trail mix. Eggs are an excellent way to start your day, whether you prefer them scrambled or sunny side up. 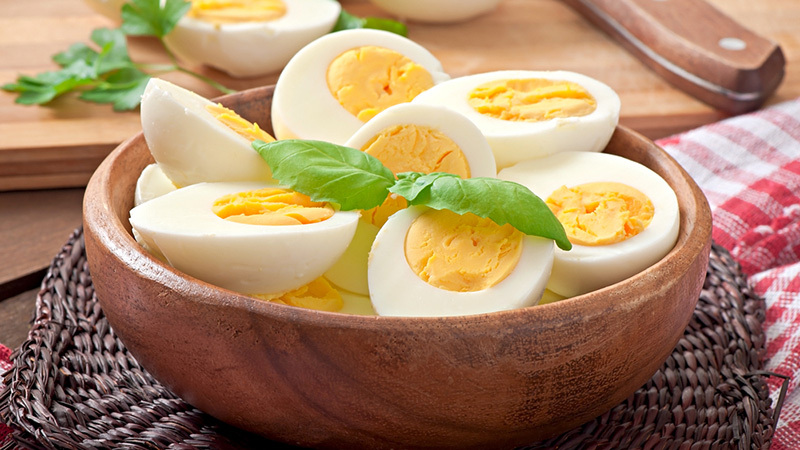 Hard-boiled eggs are a particularly excellent snack to have for any time of the day, because they’re loaded with vitamins and nutrients, and are also simple to make. You can hard-boil a whole carton of eggs to have for the week in less time than it takes you to learn how to perfect your omelette flip. Some people may not recognize tea as a suitable snack, but with it’s great taste and endless health benefits, it will satisfy you even more than most of the other snacks on this list! 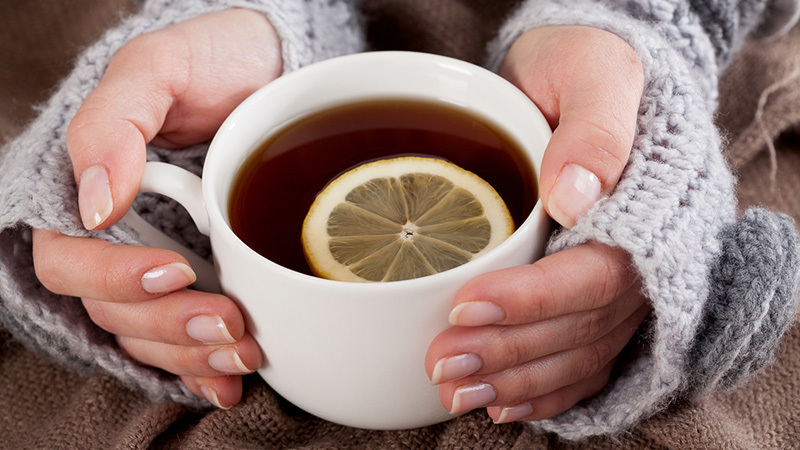 Whether you take it hot or iced, black tea has proven to boost your metabolism and increase your endurance. The antioxidants in tea also help your skin and body look and feel great. 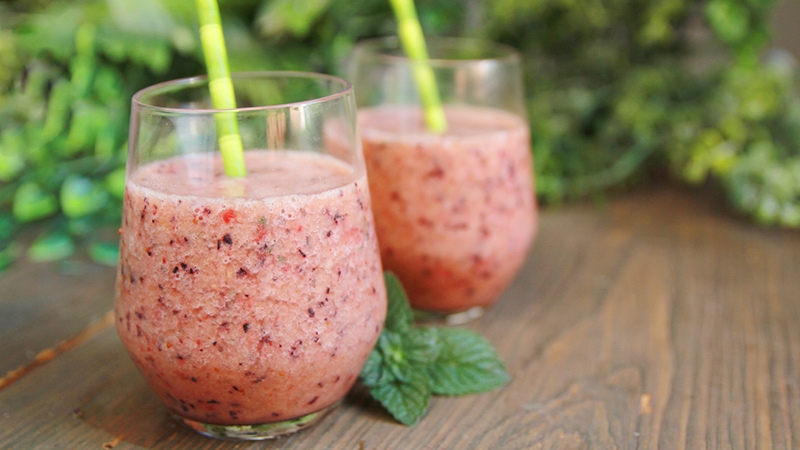 Many dieters opt for meal replacement smoothies at certain points of the day. They’re low-calorie, nutrient rich, and contain the daily recommended fruit and vegetable intake in one shot. You can make a smoothie at home and bring it with you for a post-workout treat or as an easy breakfast. Cottage cheese is a dieter’s favorite snack. 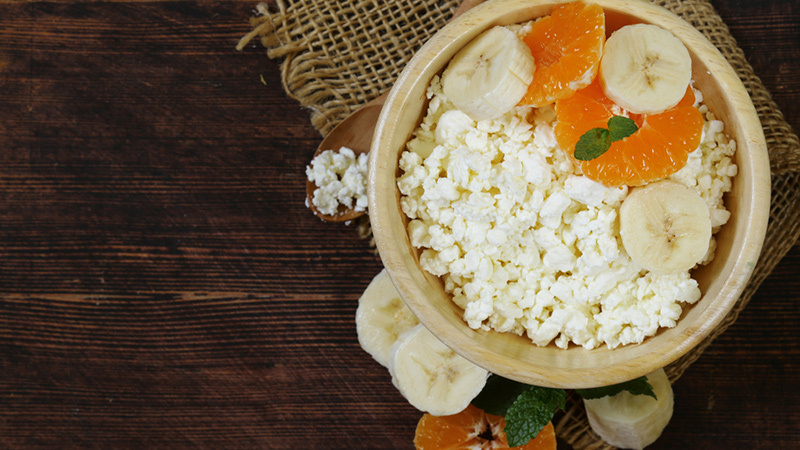 Even though it’s relatively low in calories, a cup of cottage cheese is jam-packed with protein and is filling enough to hold you over between meals. Many people like to add fruits such as mixed berries or peaches to their cottage cheese to enhance the flavour. You can also sprinkle some heart-healthy cinnamon on top or chia seeds to aid with digestion. Potato chips are the ultimate guilty pleasure snack for many dieters. Luckily, there’s a healthier option that’s almost as good as the real thing. 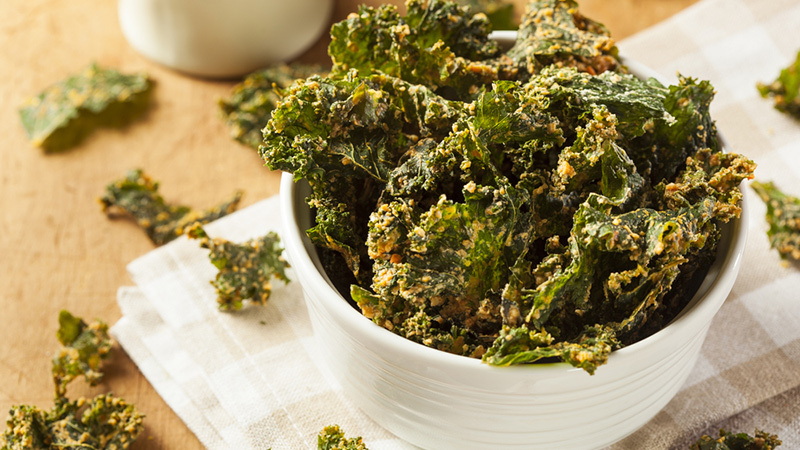 Kale chips are loaded with nutrients that help with weight management, heart health, and even eyesight. They’re also fairly simple to make. Take a bowl of kale leaves and mix them in a bowl with olive oil and seasoning (salt, pepper, garlic, etc.). Then, bake on a sheet for 20 minutes at 300 degrees. If you don’t have time to bake them, you can pick up a package of single serving kale chips at your local grocery store. Nothing pairs better with a bag of chips then some delicious, creamy dip. 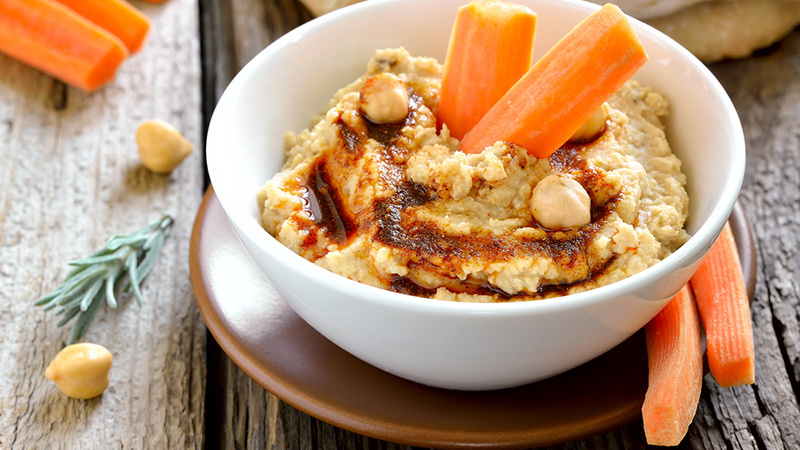 Hummus has been the dip of choice among dieters in recent years not only for its rich taste, but also for its protein. Although kale chips are extremely difficult to dip into hummus, pita chips, crackers, or even whole-grain toast will survive a scoop through the carton.